Sydney-born, LA-based singer/songwriter and recording artist Ben Lee is no stranger to the art of music-making. 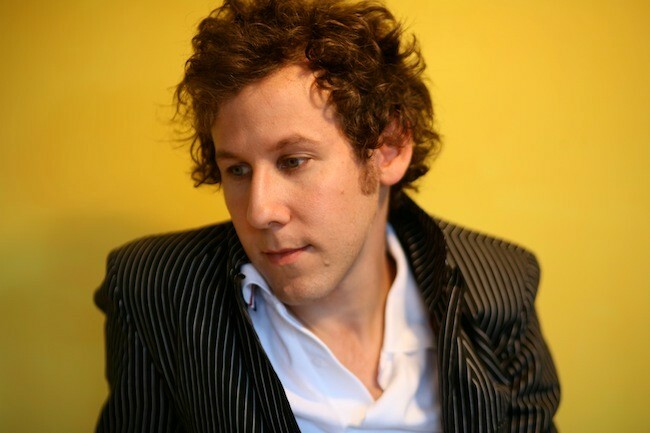 From his first band at 13, Noise Addict, to the multi-ARIA award winning record “Awake is the New Sleep”, Ben Lee changed the face of contemporary music history in Australia. As much as he has been drawn to music all his life, Ben has been equally passionate about esoteric science–the workings of the human mind and spirit. His forthcoming release “Ayahuasca: Welcome to the Work” may be Lee’s most willful, creative and honest work yet. Things shifted in the way Ben approached writing in 2003 when he met with an Indian avatar – a spiritually enlightened master. He’d been living in NYC since ‘99 and went to India, along with the serious possibility of giving up music. “While there, I met Sakthi Narayani Amma… My spiritual quest really began, and so did my adult music career,” says Lee. Ben’s next album, “Awake Is the New Sleep” (2005) went Top 10 in Spain, The Netherlands, and Australia. Ben’s career has focused in this spiritual direction ever since. Ayahuasca is a South American vine, known there as the “death vine, or “vine of souls.” In their spiritual practice, the indigenous people brew the plant into a tea, which they drink ceremoniously as a ritual that has existed for thousands of years. What ensues is a journey into the depth of the one who’s drunk the tea, illuminating the soul’s contents, often facilitating a soaring journey of the spirit. The subtitle of Lee’s album, “Welcome to the Work,” refers to the process of discovering what’s inside, and the active transformation of turning our darkness into light. That ongoing process of discovery is called “the work.” Co-created by Lee and Jessica Chapnik Kahn, an Argentinean-Australian actress and musician, Jessica also features as the female vocals on the record under the guise of Appleonia and will be joining Ben on his Australian tour this April. Check out Ben as he talks about the crowd-funded project here: http://www.pledgemusic.com/projects/benlee. Ben felt that donating 100% of the album's artist royalties to charity was a way of keeping all aspects of the album's release in alignment with the healing nature of the medicine itself. An organisation that Ben feels a deep affinity with around the issue of consciousness-based research is the Multidisciplinary Association for Psychedelic Studies (MAPS), a nonprofit research and educational organisation where Lee is donating half of his royalty income from “Ayahuasca”. The other half will go towards the Amazon conservation team. Ben will perform in Sydney and Byron Bay this April in celebration of the album release. Tickets on-sale 19 February.